In addition to her audit and accounting background, Esther has a wide breadth of commercial experience and expertise. Not only has she advised many owner managed businesses and high net worth individuals, but has a real feel for the client’s side which she gained by performing the role of interim FD for several companies. As such, Esther's interest in helping businesses extends well beyond assisting in compliance. What clients have said they value about Esther, is being able to go to her for commercial guidance and advice all year round, together with her high level of client service and approachability. Esther has worked with businesses across a variety of sectors, primarily focusing on small to medium sized companies. She has a particular interest in businesses in the creative and Leisure & Hospitality sector. 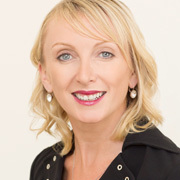 Esther joined Goodman Jones as a partner in July 2018. She has previously worked at a mid-tier London firm as client relationship, general practice partner. She trained in a top 10 practice and has also worked within a Big 4 firm in London. Outside of the office, Esther keeps active with a varied combination of exercise classes, golf and running. This all helps to counteract the effects of her passion for trying new culinary & cocktail experiences, both around London and during her overseas travels. Esther also has a keen interest in fashion, interior design, Formula 1 and music. You may well find her attending the odd 80’s festival, just so she can channel her inner Madonna and express her love for the 80’s. She maintains that her personal best time for running 10 miles competitively, would improve substantially - if only they would allow headphones.